Good golly that is a lot of bug fixes and feature enhances! 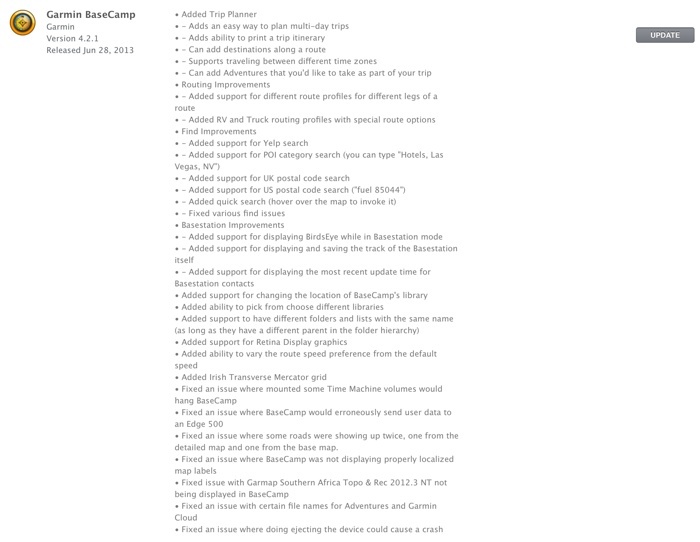 If you are a Garmin Basecamp user, be sure to upgrade to 4.2.1! Tried it yet? Let us know what you think.